The Mixfader is a portable, pocket-sized wireless Bluetooth fader that lets you mix and scratch on the go. Use with your vinyl turntables, or connect the Mixfader to your smartphone, tablet or computer using the Mixfader DJ app. Mixfader features a non-slip rubberised bottom ensuring it stays static during your mixing experience. 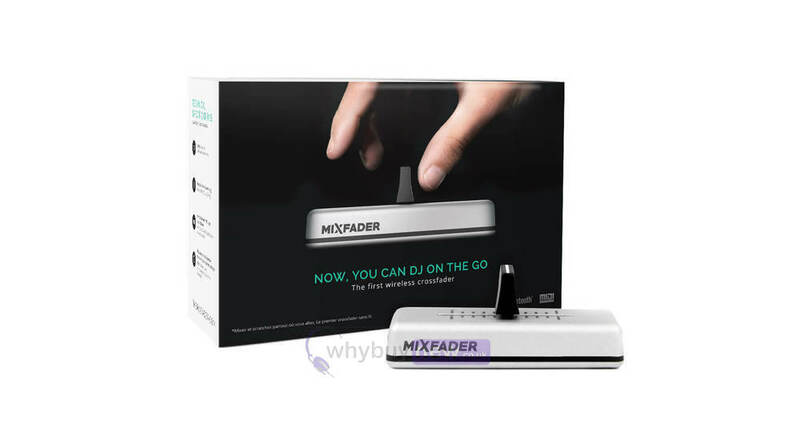 Mixfader allows you to mix all your tracks for your parties or DJ sets, scratch like a pro and create new sounds. Connect Mixfader to your smartphone or tablet and perfect your mixing and scratching techniques, whatever your level. 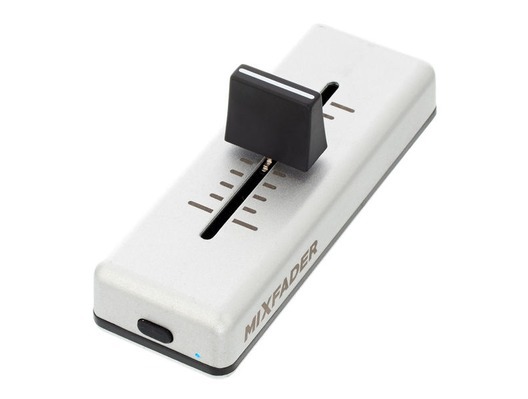 Mixfader - the world's first wireless portable fader - works with Mixfader dj app. Together with, they offer a pocket-sized yet ultra performing pro DJ setup to express your art anywhere, anytime. Add your portable turntable to this setup and take portable scratching to a whole new level. Mixfader opens up new possibilities for the art of turntablism, putting smartphones/tablets at the core of the discipline: Mixfader dj app reproduces the behaviour and sound rendering of physical vinyls with extreme precision and reactivity, while Mixfader lets you keep the feel and grip of your everyday fader. Mixfader has been thought to let you focus on your performance. Left or right handed? 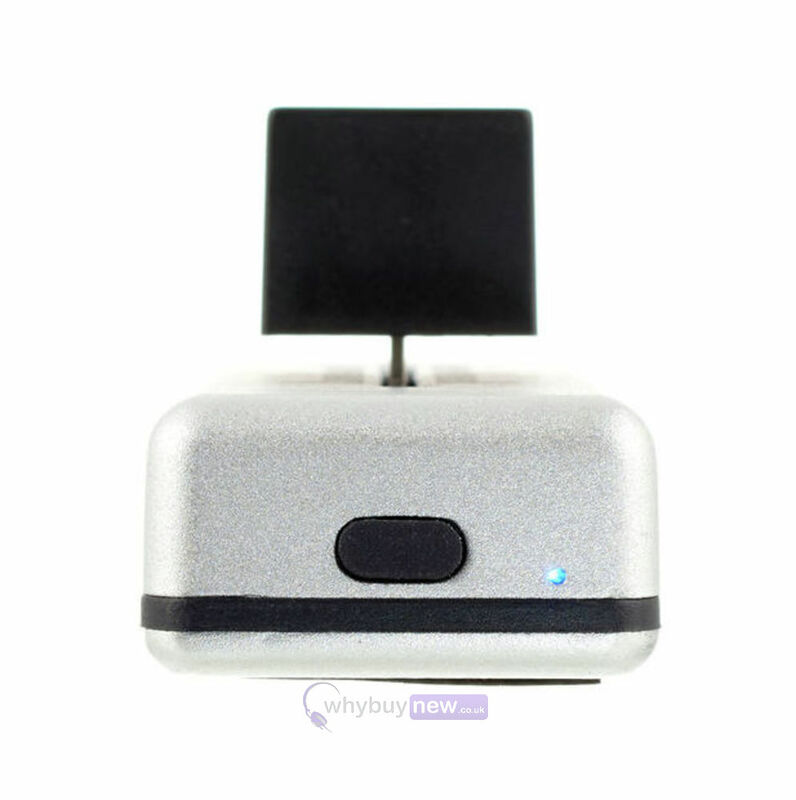 No need to worry about side cut, both sides of Mixfader are usable. Moreover, thanks to its adhesive and washable rubber that drives it fix, Mixfader sticks to any support and withstand the sharper hand movements. And for optimal scratching comfort, Mixfader is supplied with 4 adhesive pads to put under your smartphone or tablet to prevent their shake. For the first time compatible with both Timecode and standard audio vinyls, Mixfader is a real game changer. Simply plug your device to your turntable, connect Mixfader to your device and start scratching as always on your Vestax HandyTrax or Numark PT01. 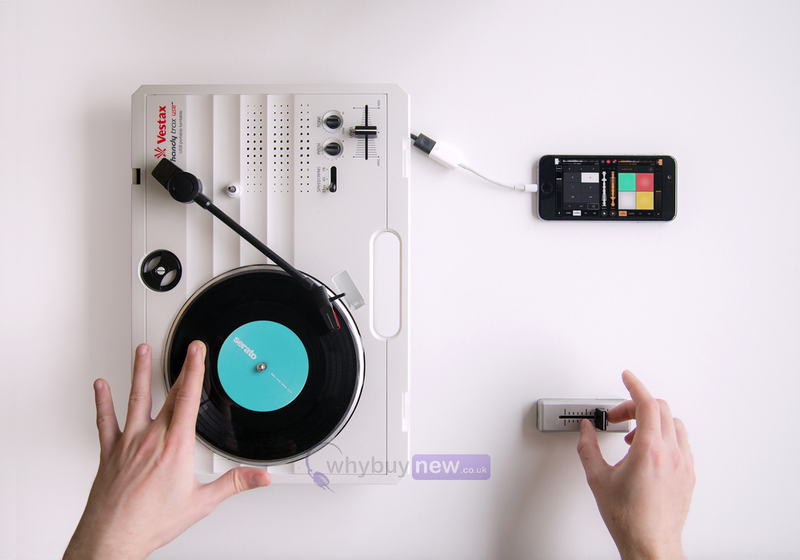 Both USB and Analog turntables are usable. GarageBand, Traktor, Serato DJ... Mixfader can be used with the main music production software. 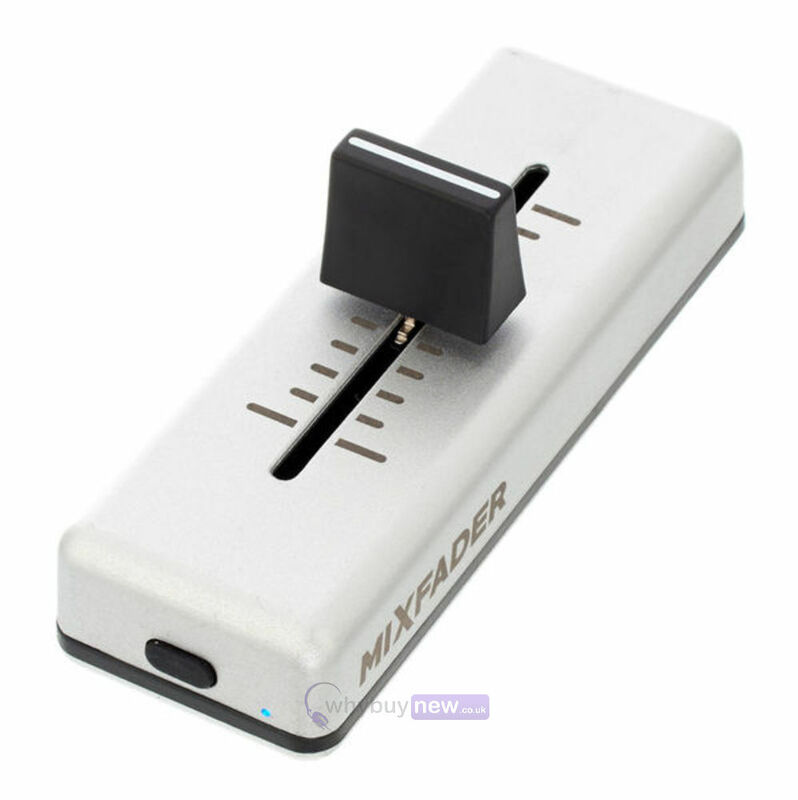 Connect Mixfader to its Companion app - Mixfader Companion - through Bluetooth then activate the MIDI mode. The app lets you choose your MIDI mode and assign the control change number of your choice. You will also be able to activate the Hamster (reverse) switch. 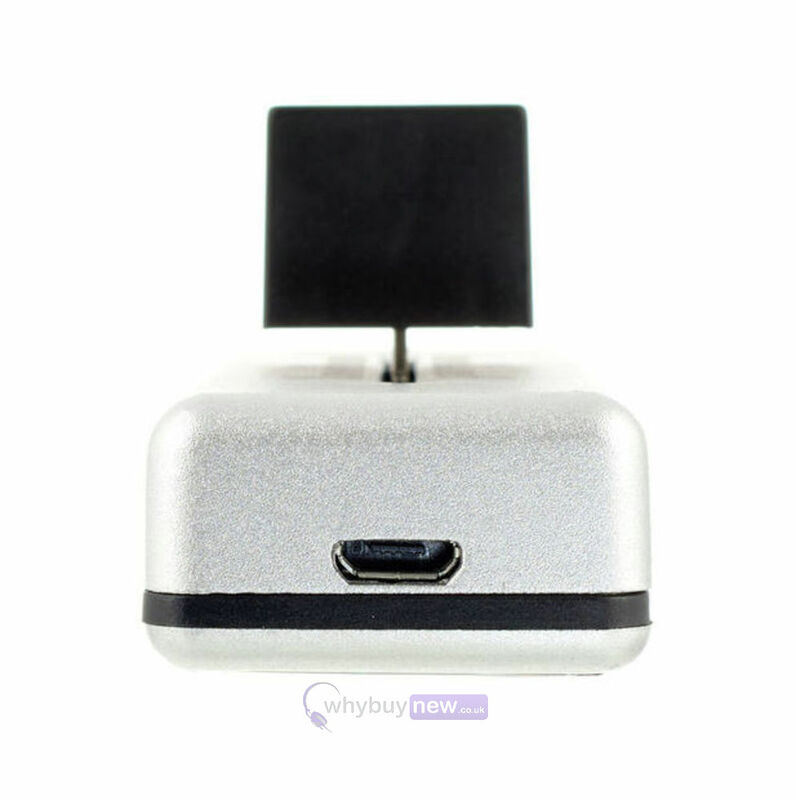 In addition, you will have access to information about your product such as the battery level, the crossfader cycles, or the connection counts. Compatible software: GarageBand, Serato, Virtual DJ, Ableton Live 9 and Traktor.